Hi, I am Jody Elmquist! 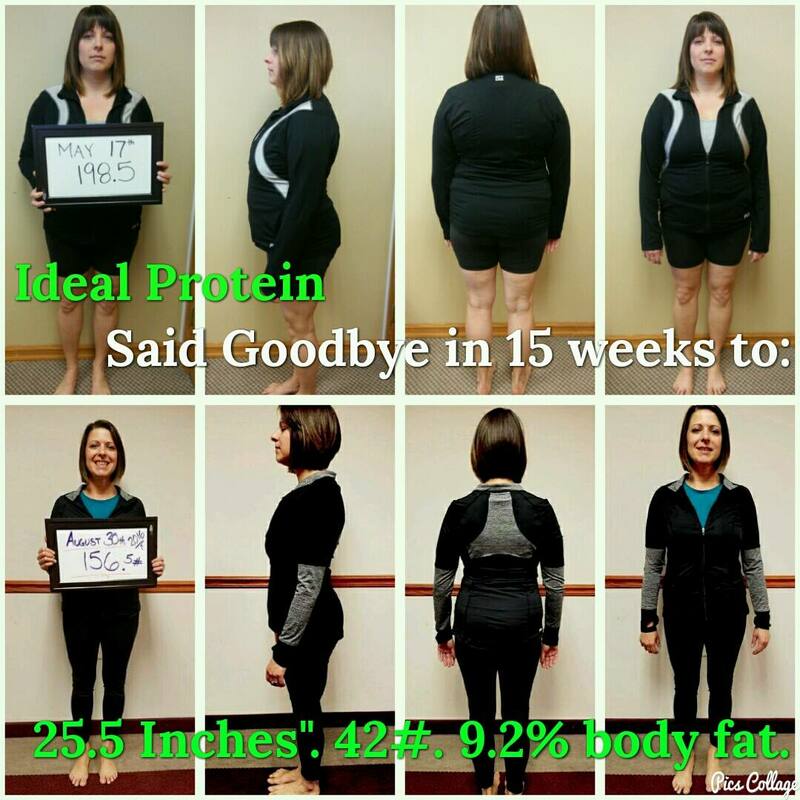 I have been using the Ideal Protein weight loss method since May 17th, 2016. After only 15 weeks on this amazing program I have reached my goal! Down 42# & almost 10% Body Fat. For most of my adult life, I have been on a roller coaster of eating right and eating wrong. Now I finally have a handle on what is going on inside of my body because of this amazing program. I am blessed to be able to be on this journey with you, as I am also your Certified Health Coach. There is a place to turn to get back on track and learn how to stay on track. God has led me to this program and to share it with all of you in need of a fresh start, improved life-long health, and true lasting results! These results are not unique to me...they are right on track with our average at this location to lose 3-5# per week.